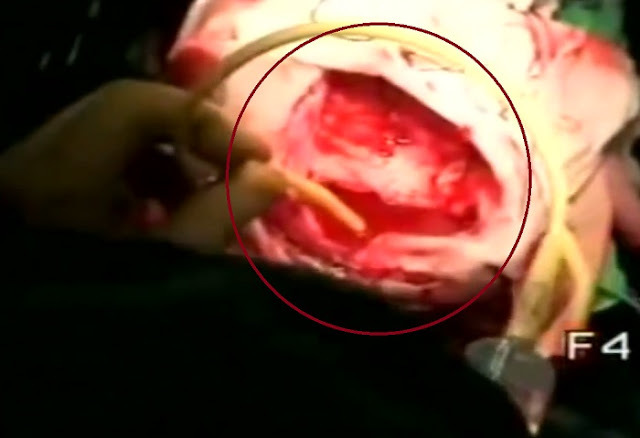 VIDEO: Surgeons Removing a Huge Cyst with Parasites From a Girl's Head! SHOCKING! 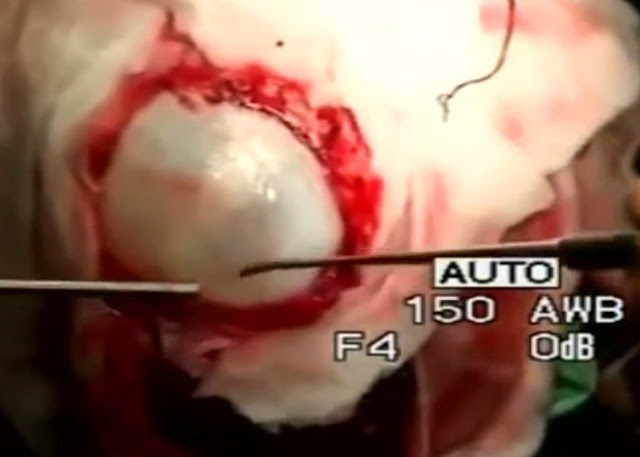 We have been amazed with spectacular medical breakthroughs, especially in surgery. No one could ever imagine how the medical field was able to perform transplants of certain vital body parts like cornea, heart, kidney and brain. Some conjoined twins who were connected in the most complicated manner also benefited from medical innovations. They were successfully separated and living a normal life now. Speaking about how the science of medicine has been beneficial to the human race, a video went viral online showing an eye-popping medical procedure. The girl was diagnosed having an extremely large cyst inside her head. Aside from that, they also found out that the lump contains parasites that can consume the brain. Terrifying!!! The surgeons were seen delicately creating a hole to start the procedure. When they finally saw the tumor, they removed it by soaking it with liquid using a hose. The surgery was successful, but the space it left in the girl head is very astonishing!